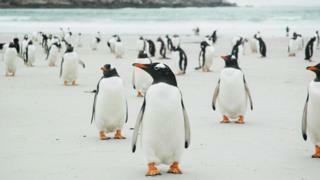 An island on the Falklands is up for sale, complete with an army of penguins and its very own four-mile long beach. Pebble Island has been in the Dean family for 150 years but the great-great grandson of the original buyer, Sam Harris, from Pembrokeshire, has said it is time to sell up. 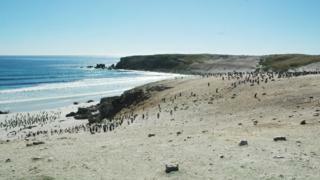 It boasts five different species of penguins, 42 species of bird, sea lions, 6,000 sheep and 125 cattle. “It’s an amazing place,” Mr Harris said. Over the years, the family have sold off other islands there, and now only Pebble is left in their possession. 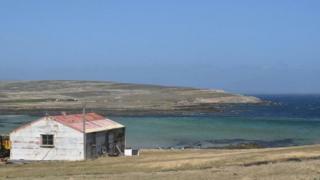 No members of the family have lived on the island since the 1950s, and it is now managed by Mr Harris’s mother, Claire, from the UK. The island came into the family’s possession in 1869, when it was purchased for just £400 by John Markham Dean alongside a few neighbouring islands. He had gone to the Falklands to set up a fish curing business after working in a butchery. “As a family, everyone has been allowed to go,” Mr Harris said. “All the grandchildren have been able to go there with our husbands or wives and our children. 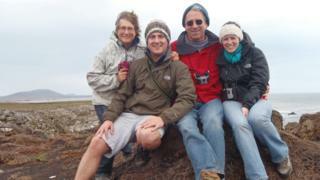 “My wife, Lowri and I went there in 2011, and we had a close affinity with it. We talked about living there and taking over the hospitality side of the island, but it came as we were having children. “It was a difficult decision, but it comes down to the fact that my mum and dad aren’t in a position to continue managing it. 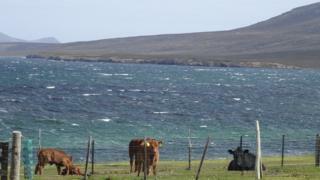 Image caption The island boasts a similar climate to west Wales say its owner… windy and rainy then! 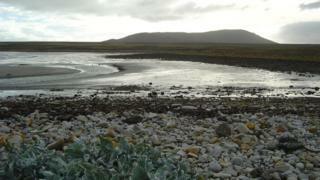 At 20 miles long and about four miles wide, Pebble Island is the third largest offshore island in the Falklands, complete with a mini mountain range, lakes, miles of coastline and cliffs, and a pebble beach after which it was named. It is home to a thriving sheep farm, established when it was purchased, a number of lodges which contribute to tourism on the island, 125 cattle to boost the island’s market, a wind turbine and solar panels to generate power. It is also an International Bird and Biodiversity Area (IBA). 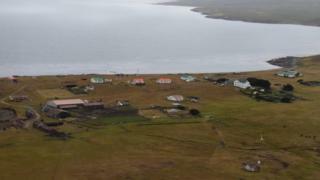 On top of that, it is a draw to those interested in military history, as the site of the first land-based action of the 1982 Falklands War, when the SAS landed by boat at night to disable the 11 Argentine aircraft on its runway. Mr Harris said the family do not have a price in mind for the island, but would prefer it went to someone with an interest in farming. “We want it to be developed, and to go to someone who will really care for it,” he said. 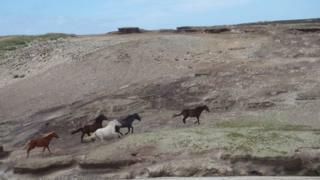 “It’s got great potential with tourism because there’s a big army base there, but there are also a lot of animals on the island, some which need to be looked after. “The island produces a lot of wool, much of which goes to the UK, so a farming background would be helpful.